Last week, a brief interval allowed me to escape from HQ, where a kitchen renovation has been underway for the last couple of weeks. My landlord, distressed by my reports of rodentine occupation in the so called “wet wall” found behind the 1970’s era cabinetry affixed to it, sent in the Croatians. Said Croatians have been doing a brilliant job, and are nearing completion of the project after two weeks of work (which is bit of a miracle itself here in Astoria), but I’ve been stuck here keeping an eye of things and ensuring that Zuzu the dog doesn’t wander into a tile saw or something. Luckily, Our Lady of the Pentacle invoked a “work from home day” last week, allowing me the freedom to go on one of those ridiculously long walks across Queens for which I am sort of known. This time around, my path wasn’t towards the East River, nor Newtown Creek – instead, I headed east along Northern Blvd. 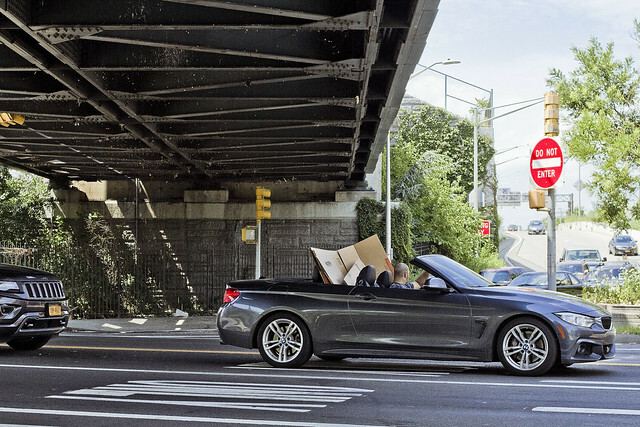 The first thing which caught my eye was, as always, something Robert Moses left behind – the Brooklyn Queens Expressway. This is literally the “Northern Blvd. exit” by the way, which empties the highway onto the local streets in a confusing series of curved and badly marked lanes. As with all things Moses, “pedestrian friendly” is at best an afterthought. The BQE does serve a purpose for me, however, as a geographic reference point. 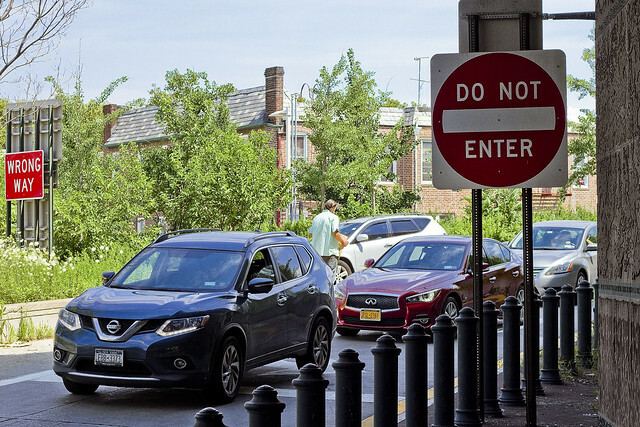 It’s easy to know which community of Western Queens you’re moving through when on the neighborhood’s “main drag.” You have no doubt about whether it’s Jackson Heights or Woodside when you’re on Roosevelt Avenue, for instance. Same thing with Sunnyside, Woodside, or LIC. There’s a distinct “feel” to these neighborhoods. Northern Boulevard, however, was built as a high volume road for automobiles. Most of what you’ll find along its length, from its transmogrification at 31st street from Jackson Avenue to Northern Boulevard all the way to its titular end of pedestrian friendliness at 114th street in Corona (and yes, I know route 25a continues all the way to Suffolk County) are automobile related businesses and chain store restaurants. Northern gets a bit more residential when you get out east into the 80’s, 90’s, and so on but it’s still pretty automobile focused. We’ll talk about that in subsequent posts that spawn out of this particular walk. The funny thing is, of course, that a few phone calls were made to friends who grew up in Queens to double check my impressions of “where I was” while developing this set of shots. You can’t trust the real estate people, who will try to describe parts of East New York as Williamsburg if you let them. 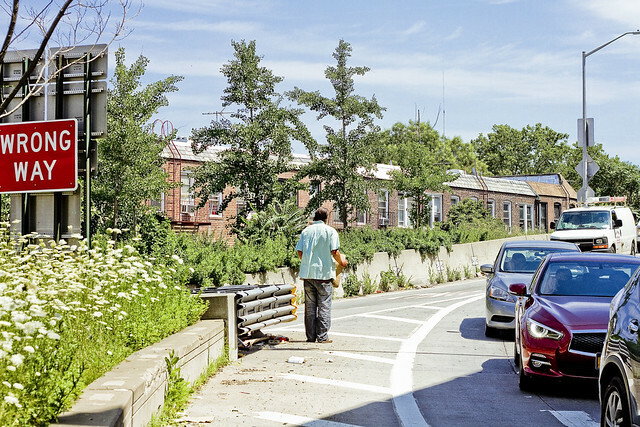 The fellow pictured above, who made the absolutely terrible decision to stand on the off ramp of the BQE in what is definitively Woodside (62nd and Northern), bore a bit of signage adjuring passing motorists to toss him a few handfuls of loose change. A sign of the times, this fellow actually is. Emblematic of the current Mayoral admistration’s anitipathy towards the enforcement of “quality of life” regulations which have distinguished our municipal experience over the last twenty years. I’m sure he will be replaced shortly by some guy with a squeegee and a bottle of windex. I’d vote for the squeegee guy over our current First Citizen in a heartbeat. I’d also vote for a parakeet just to see the First Citizen sent packing back to Park Slope. This walk, an escape from the domestic construction project mentioned at the top of the post, was a bit mad btw. One emulated the proverbial “bat out of hell” and covered quite a bit of ground. Starting at Woodside Avenue and Northern Blvd., I walked east along Northern to 114th and then headed Northwest along Ditmars into East Elmhurst and then southwest back into Astoria. Many interesting things were observed, which will be offered and described in subsequent posts at this – your Newtown Pentacle. 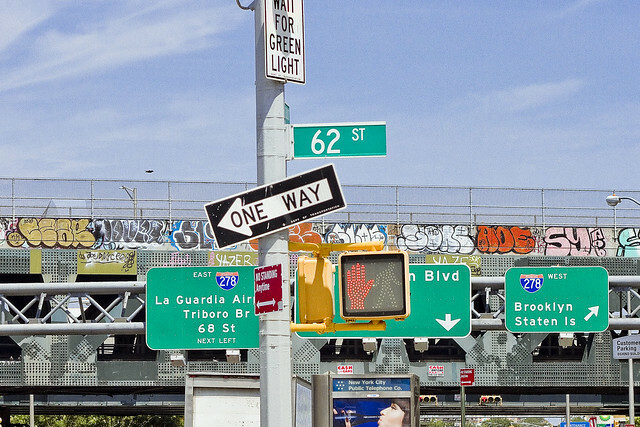 78th & Northern sits on the border between Jackson Heights and EAST Elmhurst. georgetheatheist . . . Where am I?